As the temperature begin to drop and a cooler season have arrived here in Norther Virginia, keeping warm is a must. What's more appropriate than looking good while keeping warm. 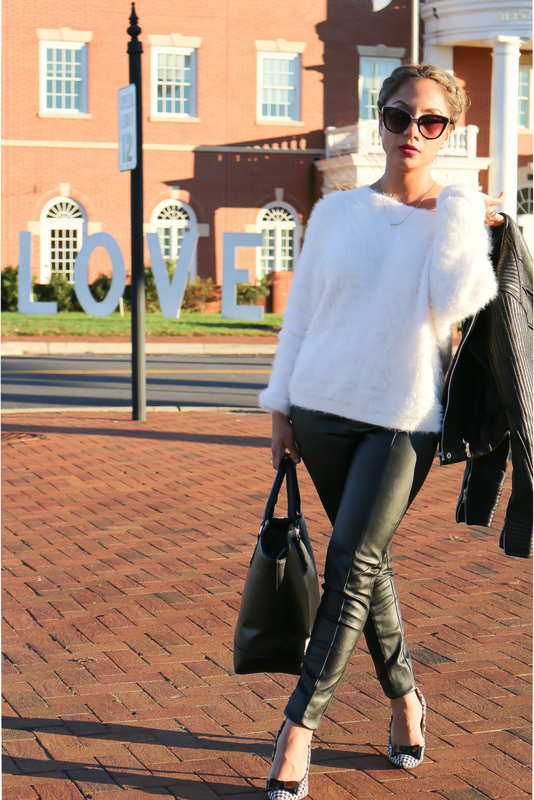 A combination of a fluffy sweater with black leather pants gives you a classic and simple look for the fall or winter. Pure sophistication, stay warm ladies.